Spectacular images have captured the celebrations of Charak Puja, a Hindu folk festival held in southern Bangladesh and West Bengal. Celebrated on the last day of the last month in the Nepali calendar, people believe the festival will eliminate the sorrow and sufferings of the previous year and carry prosperity into the next. 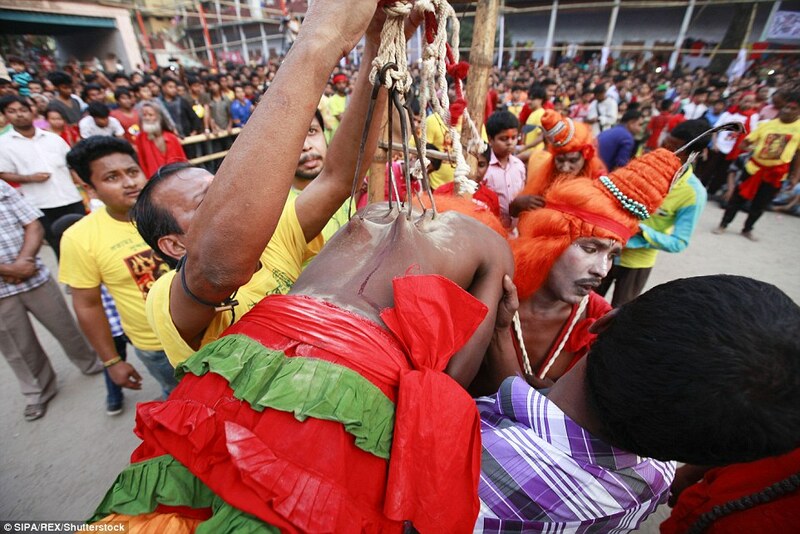 In this festival a human 'Charak' is made to satisfy the Lord Shiva. 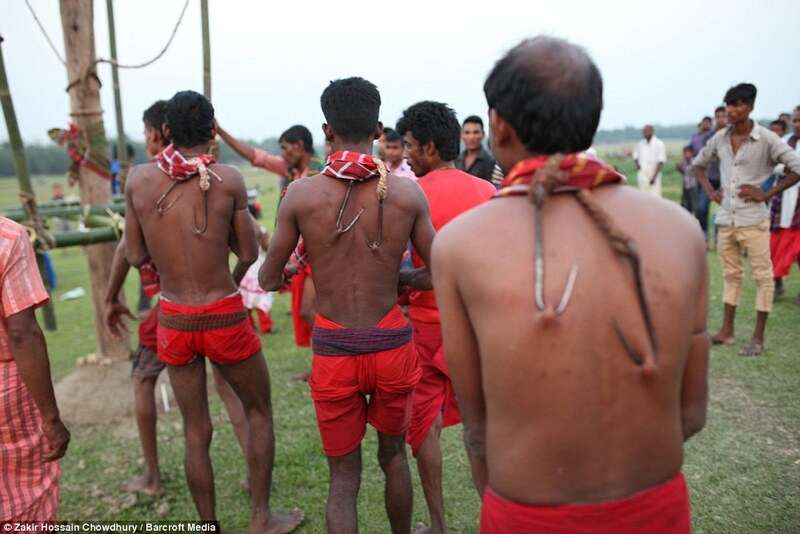 The 'Charak' is tied with a hook on his back and then he is moved around a bar with a long rope. The tradition behind Charak Puja is worshipping the Charak tree. Several acts of penance are performed by Charak Sanyasis around and on the tree on 14th April every year. 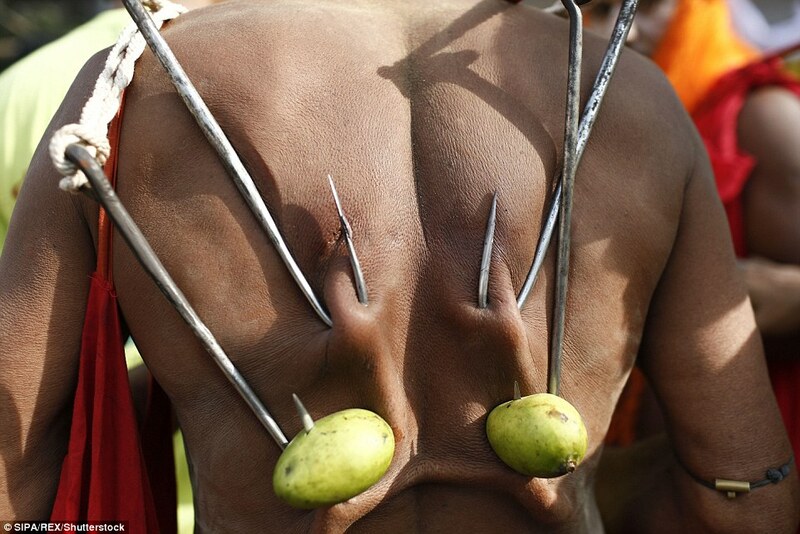 This includes inserting hooks through devotees back. 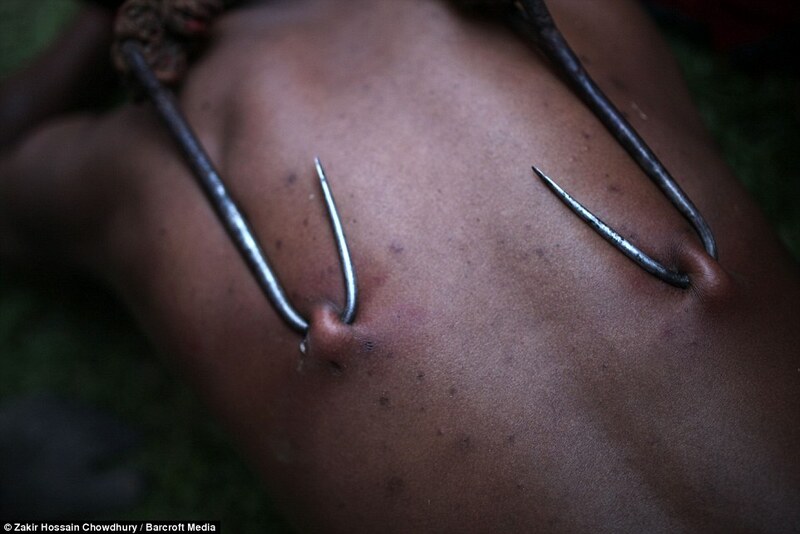 Amazingly, the priests are able to pierce sharp hooks at the bodies of participants with very little cut or injury. After years of practice, they are able to pierce the sharp hooks without damaging the veins and causing less pain. They then use these hooks to swing around the tree. The Charak tree stands around 30 to 40 feet tall and has no roots or branches. The tree is worshipped by priests before being placed in a ditch and balanced by bamboos. After the Sanyasis perform their penance acts, the tree is immersed into the river. 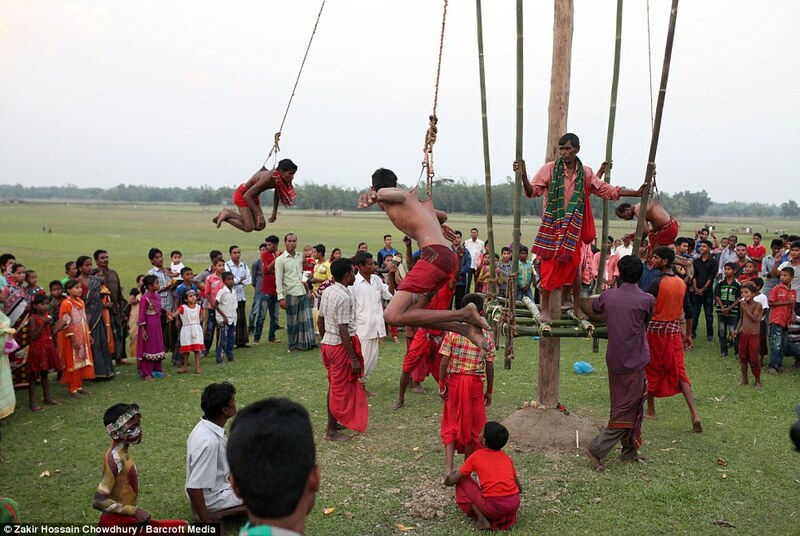 The Charak Sanyasis then brings it back to the puja ground, which is a local ground.